Optical elements require fast and precise movement. Products like micro mirrors and light valves use small incremental steps to accomplish tasks like laser beam steering and spectrum changes. To accomplish this precise actuation, designers use various methods to drive structures. Micralyne has developed several actuation platforms used by our customers to drive optical structures. 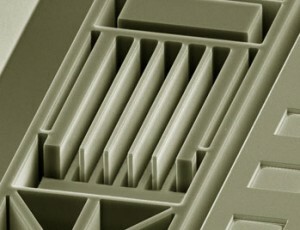 These platforms take advantage of the Micralyne MEMS and micromachining capabilities like DRIE, thin film deposition and wafer level packaging.